Our International Corporate and Commercial Practice offers an international platform to serve our clients’ corporate and commercial needs around the globe. Clients no longer need separate counsel for domestic U.S. work and their international matters. 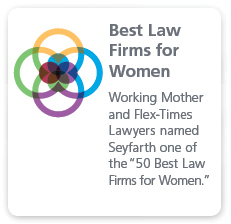 Seyfarth’s International Corporate & Commercial practice lawyers work in collaboration with the firm’s US Corporate practice, comprising a team of more than 100 corporate and commercial attorneys across the firm’s global platform. Our presence in the United States, Europe and Asia, combined with our industry-leading technology collaboration tools, allows us to successfully deliver on our clients’ strategic cross-border and international matters. As a trusted corporate advisor, we provide solutions that enable our clients to operate seamlessly in today’s global environment. 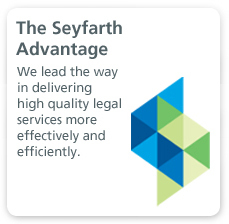 Central to our service model is providing our clients with the best possible service in all jurisdictions. 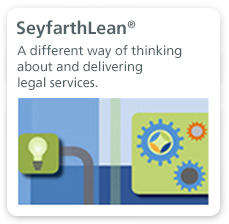 Having worked on corporate and commercial matters across multiple countries worldwide, our team comprises senior lawyers with true cross-border corporate expertise, as well as a network of trusted independent firms around the world. Our model also focuses on maximizing value for our clients. We operate a “client team” approach with small, partner-led teams and, throughout each matter, our focus is not just on getting the deal or commercial transaction done, but on ensuring our clients receive top quality advice in an efficient manner. Our value-driven model also offers clients flexibility in pricing through AFAs and other alternative pricing arrangements. Our global reach, combined with our value-driven model, industry breadth and technical excellence is why we are a trusted advisor to some of the world’s leading companies. Seyfarth and its client Nike are recognized as 2013 "ACC Value Champions"